In this article, we will give you some tips on how to the properly clean your ears. There are many contaminates in the environment and the earwax serves as a protection from them. But impaired hearing, pain and irritating sensation can be experienced if the earwax is accumulated in excessive quantity. Cleaning your ears is needed in such cases. The hearing can be impaired due to the improper cleaning of the ears, which can happen if you use a candle, pencil, booby pin, paper or tips for cleaning the inner ear region. 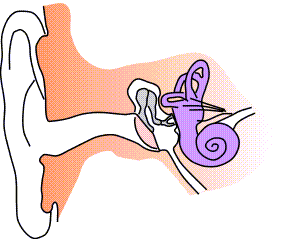 Ear infection or perforation of the eardrum can perforate if sharp objects are placed in the ear in order to clean it. The most common problems associated with this condition are vertigo, head spinning sensation, dizziness, cough, hearing loss, ear discharge, itchy sensation in the ear, noise coming from the ear and ear pain. In order to remove it safely, the earwax should be made soft. This can be done with the help of glycerin, mineral oil or olive oil. Few drops of one of these items should be put in the ear canal and this will do the trick. Then spend few minutes lying down and turn the head on other side. This will help the oil to leave the ear in natural way, melt and make the wax feel soft. A few drops of water can remove the excess of oil in the ear. The same effect can be done with the use of ear drops. The swab needs to be used, but never in the deep regions in the ear. Also, the outer area of the ear can be cleaned with swabs, while wax removal should not be done with them. The earwax can be pushed even deeper if cotton swabs are used. Know that ear problems can be avoided and earache removed with the help of the vitamin C. So increase the intake of it, and the immune system will be stronger as well. Just lie down, put hydrogen drops in the ear and then turn the head in other direction, since it will help the solution to exit. You can use water to wash away the remains. The use of hydrogen peroxide is advised since this is maybe the best way in which ears can be cleaned. Three days is the amount of time during which two or three drops of this solution can be administered consecutively. If your eardrum is perforated or infection is present, do not use this solution. You can also use sea water spray, mineral oil or paraffin. Who uses Hydrogen Peroxide as a toner? people with mucus stuck in their throat. I know how to clear the problem. Bump thing on lower thigh? Weeping Burns to the hands.